An internationally acclaimed, award-winning film directed by one of the most prominent names in Turkish cinema is basically a no name here in Turkey. 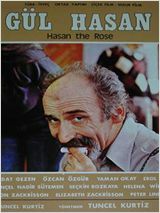 Gül Hasan (Hasan the Rose), the film that marked the stage and screen actor Tuncel Kurtiz’s directorial debut in 1979, had wowed critics during its release in Europe, bringing Kurtiz a best director award in Sweden. The film had hit some nerves in Turkey, making it the film non grata. 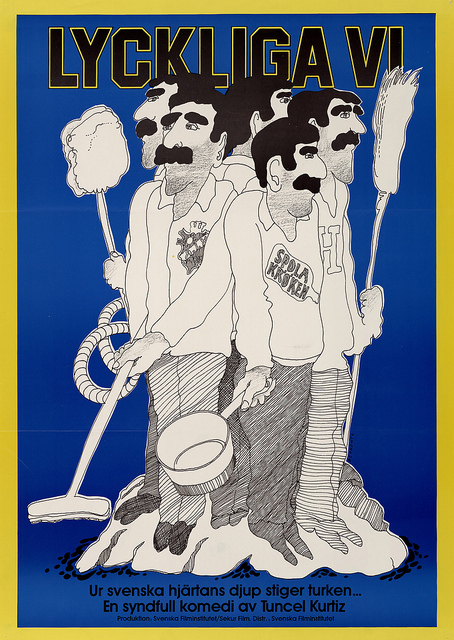 It was overlooked during its release, and when the timing coincided with the period of heavy censorship following the 1980 coup, it was eventually forgotten. Now, after three decades, the film is finding an audience in Turkey, mostly thanks to the Festival On Wheels that recently traveled to Ankara, Sinop and İzmir. The film was screened under a special section called Emigres devoted to Kurtiz’s film. Kurtiz is a household name for Turkish moviegoers and aficionados of recent Turkish TV series. In the late 1950s, Kurtiz began his acting career as a stage actor in Istanbul and later in Sweden and Germany. During his university years, Kurtiz became friends with the renowned director Yılmaz Güney, together making some of the most famous films of Turkish cinema such as “Duvar” (The Wall) and “Sürü” (The Herd). One of their collaborative works, “Umut” (Hope), was banned in Turkey and was eventually screened at the Cannes Film Festival with a smuggled copy. Starring some of the prominent actors in their younger years like Müjdat Gezen and the late Savaş Dinçer, “Gül Hasan” takes a look at immigrants and their problems in Europe, becoming one of the first examples of what would later be labeled as immigrant cinema in Turkey. Through its main character, a director defrauding Turkish citizens working inEurope with the promise of giving them parts in a film he is about to shoot, “Gül Hasan” gives an at-times funny but always realistic picture of the exploitation of immigrants in Europe. During the screening of the film last week in İzmir, Kurtiz was among the audience to watch the film he said “I still like very, very much.” Calling the film “an underground film that was made with little to no money, mostly through the help of friends and solidarity,” Kurtiz reminisced about some of the actors who had died throughout the years, one of them being Olaf Palme, the fallen Swedish politician who also had a surprise cameo in the movie. Kurtiz also talked about how the film foreshadowed the “dark times after the 1980 coup.” He said, “You cannot solve any problems with cinema, but it’s a vehicle to remember certain things.” One of Kurtiz’s recent successes was an accolade of awards with his role in Turkish-German filmmaker Fatih Akın’s 2007 film “Auf der anderen Seite” (The Edge of Heaven). Similar to what Kurtiz hoped to do with “Gül Hasan” Akın had managed to accomplish two decades later. Akın was a revered name among European cinephiles since the late 1990s with hits like “Im Juli” (In July) and “Solino.” However, his Golden Bear winning “Gegen die Wand” (Head-On) would be a benchmark for the depiction of Turkish people living in Germany. 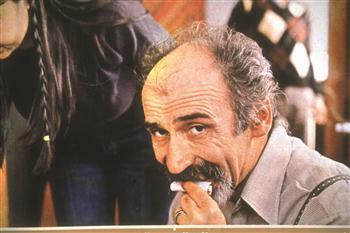 Akın not only became the voice of third generation Turks in Germany with his modern classics like “Gegen die Wand” and “Auf der anderen Seite,” but he single-handedly maneuvered German cinema to include young Turkish directors and freed the Turkish characters from their stereotypical portrayals. Akın’s genre-defining cinema gave these misfits a voice and an existence in pop culture, which at the end of the decade would open the way for young Turkish directors like Özgür Yıldırım, who established himself as a revered filmmaker with his debut feature “Chiko” in 2008, to have their distinct voices in cinema. Other directors who forge into the slippery territory of Turks and Germans are Thomas Arslan, whose “Der schöne Tag” (A Fine Day) told the story of a young Turkish woman’s (Serpil Turhan) struggle to become an actress; Adnan Köse, who skillfully puts Germanand Turkish people next to one another in his films; and Buket Alakuş, whose most famous pic “Anam” (My Mother) featured a hapless Turkish housewife and mother in Germany. It was time Kurtiz’s pioneering role in Turkey’s immigrant cinema was made known, and the coming DVD release might just add fuel to that.